No matter what corner of the globe you find yourself in, chances are you are a fan of the beautiful game known as Soccer. The world’s most popular sport is one that conjures up vivid images on a weekly basis. Whether it be Kylian Mbappe lighting up the World Cup as he helped France to victory this Summer, or Gareth Bale’s sensational overhead kick in this year’s Champions League Final they are moments that are now etched in the memories of millions if not billions. In any showpiece event such as the two mentioned above, much is made about the fact that it is being showed in over 200 countries. A statistic that just goes to show the incredible reach that Soccer has on this planet. However just as the internet has made the world seemingly a lot smaller, it has also given us technological advances. The digital revolution is being televised, but the question is just how many people are paying for it? With blue riband competitions such as the Premier League being beamed all over the world it has created an insatiable demand for what can now only be considered a product and a very rich one at that. A business that by and large is behind a huge paywall, however due to the demand that has been created by the likes of Sergio Aguero and Mohamed Salah each week, it means that fans are going to further lengths in an attempt to watch their beloved players in action. Lengths that by and large are of an illegal nature. If the Premier League business is a big one, then the streaming business is not all that far behind even after attempts by the game’s governing bodies to shut it down. It what seems to be a weekly game of digital whack-a-mole the Premier League do their very best to stop the streaming of fixtures. Their usual course of action is to get a court order and apply to have such illegal websites closed down. However, for each one they close then another will emerge the following week. Creating a seemingly never-ending battle and one where you get the feeling that the Premier League can never really win due to the scale of the operation. 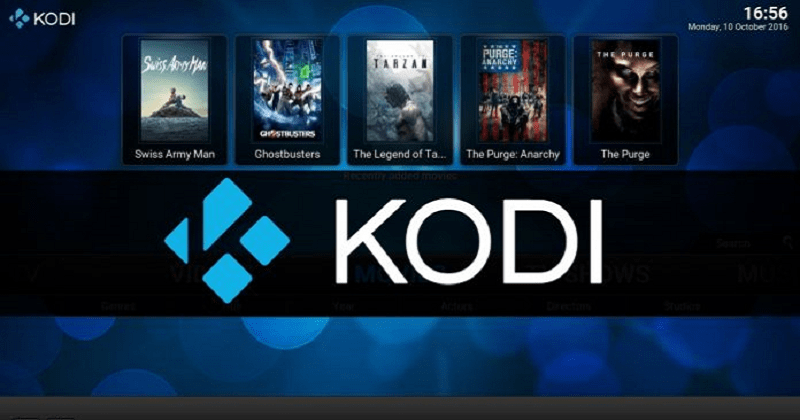 That said they have managed to pick up a handful of recent victories as of late, one of those coming in the form of the streaming software KODI. The software itself is not the issue in terms of legality, it is more what you can do with it. A couple of years ago people cottoned on that it could work as a media hub capable of streaming a number of different sources and as soon the eureka moment of showing live sports via the platforms known as add-ons was discovered, then the genie was out of the bottle forever. At first it was more of an in the know situation where a small minority of tech-savvy Soccer fans were feasting on as much live and more importantly free Soccer that they could consume on an almost daily basis. But it was a secret that was too good to be kept to the underground, soon there was a litany of help guides available on the internet for the everyday user to make clear sense of. Ones that then enabled them to download the KODI software and use it for nefarious means. However, it was at that point that KODI almost got too popular for its own good. It wasn’t just people downloading the software for themselves, it then became the brazen selling of ‘Android Boxes’ with the Premier League as the main selling hook. Marketing material was labelled as “All Premier League available, one off fee” which to any Soccer fan is going to be an immediate eye catcher especially as these ‘Android Boxes’ were flying off the proverbial shelves. A marketing ploy that certainly earned the attention of the Premier League who quickly discovered they had a real issue on their hands. If a growing number of fans were illegally streaming their offerings, then it would drive down the value of the competitions rights. Something that meant that the Chief Executive Richard Scudamore had to act and fast, an act that has seen a crusade on the streams being used via KODI software thanks to new technology that the game’s governing body has acquired. They now have the ability to jam any of the streams that are being shown via KODI, usually just minutes before kick-off. Something that creates a huge own-goal for anyone trying to sell a pre-loaded box with live Sport attached. So much so that it has almost killed off that element of industry overnight, almost but not completely due to the fact that it has taken the content from a box to a direct link that you have to pay for. This usually comes in the form of “VIP Stream” services that for a small monthly subscription, provide any sporting steam you can think of and by charging for it they make sure that there is not too much load on their servers. VIP streaming is not a new concept, and its one that has been using in UK slots sites for years, to give VIP slot players priority access to exclusive tables and live dealers and even exclusive slot games. Something that was an issue for KODI as the more people that wanted a piece of the secret, the more strain the servers running the content were under. To the point where live football became unwatchable due to the amount of buffering involved. These pay per stream models that are now in place continue to keep the Premier League on their toes, it seems as if the beast that they created 26 years ago is now one they can no longer tame due to its sheer size. The fact that so many people want to watch the English top flight is a simple measure of success, however that demand needs to be satisfied and if viewers cannot afford to pay for a satellite subscription they will keep finding other means in which to tune in each week.